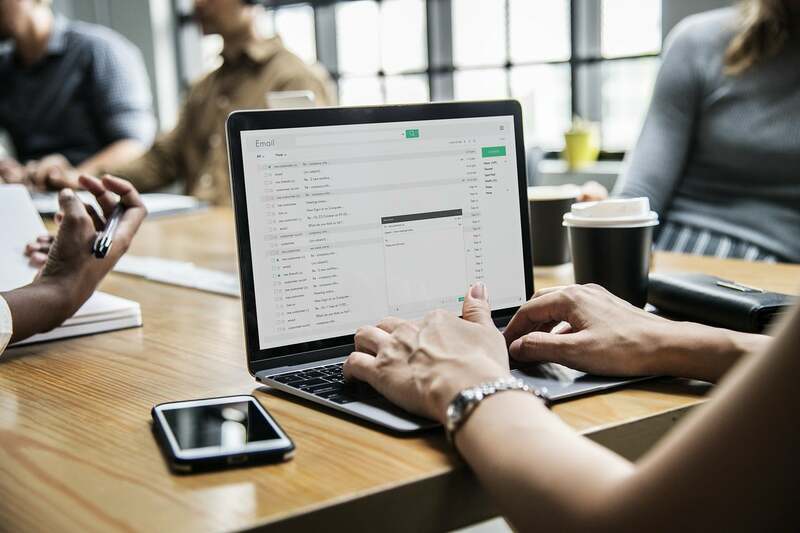 The future of email marketing is upon us, with many marketers struggling to build functioning and customised drip campaigns in today’s world of never-ending technological advancements. In the US alone, we can see email marketing campaigns exceeding $3 billion in 2019 – yet with the rise of steadily increasing capital, success does not necessarily grow at a similar rate. This article will guide you in how AI and privacy regulations disrupt the market, and why you need to keep up with new trends. Email marketing has the potential to outperform all other marketing channels – a big statement in today’s world of social media campaigns and a millennial generation of whom 44% are willing to promote products and services via social platforms. According to the Markedu State of European Email Marketing Report, email marketing has a ROI of 30:1 whereas social media sits at 20:1. This is exactly why the vast majority of bloggers will have options on their websites to subscribe to their newsletter. Social media is powerful, but customer data and its use in email marketing is king. However, email marketing is much more than building one standardised drip campaign in the hope that it suits all your potential customers. In 2019, this simply isn’t enough. Modern email marketing is all about automation through the clever use of AI, sending customised emails to your audience, and finally, using your customers data wisely whilst respecting all privacy regulations. AI is fast becoming a reality. If you listen to the news it certainly seems as if AI will disrupt every industry there is, bringing change and apprehensiveness along with it. Indeed, in a couple of years AI will eventually be as consistent and ‘normal’ to us as the internet is now, but until then it is very much a new and emerging technology. It is this incertitude that causes marketers in a variety of different fields to be hesitant in considering the positive uses that AI brings, particularly within email marketing. Marketers argue that the effort and complications that come with integrating AI software is too much of an effort and risk – and surely implementing AI into your email marketing campaigns does add onto what seems like a never-ending workload. At least at a first glance. However, what is being merely forgotten is that the payoff is huge. According to studies, integrating AI in email marketing campaigns can increase the campaigns profits by more than 15% – not only is the campaigns success heightened, but it creates less work for you in the long-run thanks to AI’s helping hand. You might be wondering how exactly does AI improve my email marketing campaigns performance? AI learns and adapts to its surroundings accelerating the performance of your campaign while you can be laid back, freeing up time for other important elements of your marketing campaign. The more data your AI system receives, the faster it gets better – this is one of the basic rules of any AI software. Realistically, this means the more data you put into AI to ensure it learns, the more you get back after. Now for your email marketing campaign, AI is responsible for the analysing. It analyses the open rate, the CTR, the conversion rate, and the reading time and engagement of your audience. Through the help of this data, and other KPIs, the software is able to make recommendations of how to segment your subscribers. For example, assessing the subscribers, separating them into groups which are, or are, not likely to transcend into paying customers. This enables you to identify non-profitable readers and target them accordingly with different approaches, or in the worst case, how to get rid of them. Of course, AI isn’t the solution for everything. AI, at this stage, can only help in making decisions based on its given data. It requires a marketer to guide the software. But don’t let this put you off – the payoff is still huge, and the movement makes it easier for marketers to make educated predictions on optimal timings and frequencies of sending emails. SUM UP: AI isn’t the solution for everything, it’s more the foundation of your email marketing campaign which makes your forecasts more educated and bulletproof. This is where automation makes an appearance. In the email marketing world, automation has already paved the way for well-timed triggers and smart nudges but, combine this with the recent developments of AI, and marketers have a major game changer. Envisage being able to set the perfect timing to send emails to each subscriber. You know that Jane in Manchester opens her emails at around 3pm each day, whereas John in Brighton opens his emails at 8am each day – AI analyses your data to allow you perfect timed mailings to suit each individual customer. AI learning the interests and preferences of the subscribers allows for the information to be applied as effectively as possible, thus increasing customisation. To customise and personalise your emails you need data – specifically, your customers data. Segmented drip campaigns when used in relation to your email list delivers suited content to your subscriber. Customisation relates to the content of your emails and is crucial in an email marketing campaigns’ success. Including personal touches in your mails, something as simple as a newsletter signed by the CEO, shows emotion and most importantly will give your company a face that the subscriber will recognize and associate with your brand. Now, you might be wondering how automation connects with customisation.. In order to optimise customisation to the best of your ability, automation software’s are a necessity. Thanks to automation, marketing experts can save time and therefore costs in their campaigns. Every standard email software will offer you a dozen suitable templates for each specific campaign, meaning you will be able to edit almost every part of your email to customise it accordingly. It is of course necessary to deliver standardized branded content in your emails, but personalised addressing such as using your customers name and adjusting call-to-action buttons, pictures and offers to match your readers wants and needs should, and can, be altered to maximise customisation. This is surely nothing new, but one of the basics of email marketing. The EU has recently seen stricter laws in data handling; something that will continue to progress alongside the digital evolution to ensure consumers data are kept safe. From the 25th May 2018, GDPR came into play within Europe, regulating the storage and usage of customer data. One of the many perks of email marketing, is it’s ability to reach a world-wide audience. This means you must know where your customers are from to ensure your following strict regulations in that country. For example, if you are targeting customers within Europe you must provide a double opt-in process that states to your customer exactly what type of data you wish to gather, where you will store it, how long you will store it, and for what precise reason. It probably won’t be long before the rest of the world follows suit. Major debates are already taking place between policy leaders and industries in the USA who are looking to Europe as an influencer in the changing landscape of data protection within the digital world. Implementing legislations such as GDPR is fast becoming a heated topic in which key players are praising new digital privacy laws. Apples CEO, Tim Cook, is a prime example of the enthusiasm tech companies are taking on for new laws in the US. Eagerly taking a stand in front of EU lawmakers in Brussels, he claimed “We at Apple are in full support of a comprehensive federal privacy law in the United States”. SUM UP: Due to the European GDPR a business is not allowed to store any kind of personal data without naming a precise reason where, why and what purpose the data is used for. The double opt-in process, however, should not be viewed as another mandatory hassle. One of the several advantages is that it puts marketers in a favourable position of being able to clearly see that the email address is active. Once you’ve welcomed your new subscribers, ideally with a personal touch to create an appreciative first impression, it is important to gather crucial an useful information. For example, know the location of your subscriber brings several advantages with. One of these being data integration. Thanks to masterful data integration provided by AI, in Manchester where it is currently raining, Jane will open her email to see rain coats on sale whereas in Brighton where the sun is shining, John will see sunglasses on sale. With optimisation like this in the future, it helps to create a personal experience for the customer, thus improving 1-to-1 communication – which I must say is any marketer’s dream. Email marketing is continuously evolving at a rapid pace. No longer are the days where content is the main aspect in sending out emails. Nowadays, it is about the software and timings. Content holds a significant importance and is certainly one of the key ingredients for a successful email marketing campaign however, with new developments in AI the opportunities for email marketing are amplified making room for efficient and effective tactics. The most important factor here is that AI is allows for automation and improved timings of emails. Welcoming AI with open arms allows the software to do the time-intensive work, while you focus on the content and the nitty-gritty regulations. Author: Michael LeanderMichael Leander is an award-winning speaker, trainer and consultant in all things marketing. Originally from Denmark, Michael has spoken at conferences and seminars all over the globe sharing his knowledge of marketing and innovation, in which he has 20 years’ worth of accomplished experience.